Just when Ben believes that his plight is beyond hopeless, Ben finally gets a lucky break, and he begins a rise to prominence that takes him to being one of the most influential men in the Empire. Though in truth, all Ben wants is to return to his farm and be with Mandana. However, his farewell party is disrupted by his nemesis Guyuk. Not knowing whether to play it safe and return with Sam or risk everything to make sure Guyuk finally faces justice. A life or death fight on a Holy desert peak will decide whether Ben and Sam can return to their old lives or spend eternity apart. 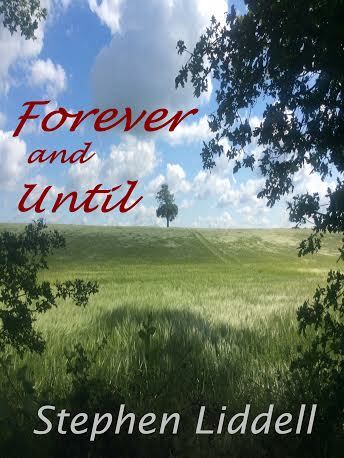 Forever and Until is available at Amazon.com and Amazon.co.uk and also available through Barnes and Noble, Kobo, Smashwords and Createspace. Alternatively, if you send me an email, I can send you a signed copy of any book for the usual retail price plus postage.